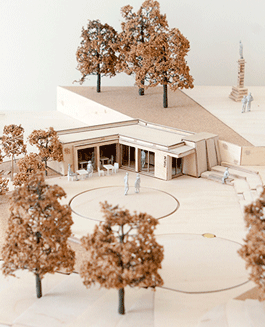 Market Place will be the final of the THI’s three public realm improvements. The THI improved Leyland Street in 2013 and Atherton Street in 2016. The works to Market Place will be the single biggest project of the entire five-year THI. 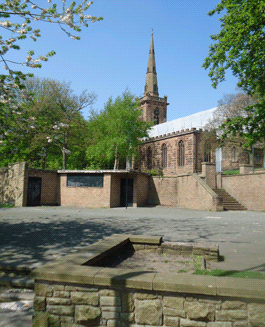 Unlike Atherton Street and Leyland Street, which are open to vehicle traffic, at Market Place we will improve a space that can be used for gatherings, events and activities. This gives many options with what can be done with the space. 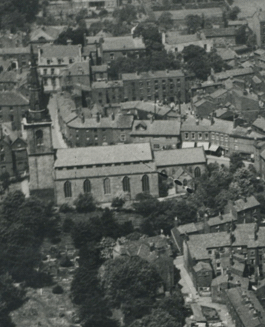 The space is where the commercial town centre meets the Church, churchyard and cemetery, the retail park and people’s homes. Market Place can connect with any or all of these. The location of the space is shown on this map. During Summer 2017 we held a design competition for Market Place in conjunction with the RIBA (Royal Institute of British Architects). Out of 47 designs that were submitted, the winning design was by the partnership of Mark Wray Architects and Seed Landscape Design. Images of the winning design can be found here. The project is currently on site and is scheduled to complete in spring 2019. What Did the Archaeologists Find in Market Place? 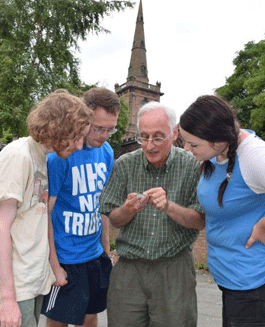 During July and August 2017 Dr Robert Philpott and Prof Harold Mytum of the University of Liverpool led a team of interns and volunteers from Prescot through a series of archaeological digs to find out what is under the paving slabs at Market Place. Literally hundreds of items were found. These were sorted, cleaned and assessed in October 2017 and Robert Philpott completed his detailed report into the findings in November 2017. The full report is here. During Summer 2016 the consultation specialists at PlacED worked on behalf of the THI gathering people’s thoughts and ideas for the re-design of Market Place. Over 500 people took part in the consultation events or completed surveys. This feedback has been invaluable in setting the scene for the work to come. A big thank you to everyone who took part! Placed have put everyone’s responses into a report. The executive summary of the report (four pages long) is here. The recommendations of the report (four pages long) are here. The full report (43 pages plus appendices) is here.